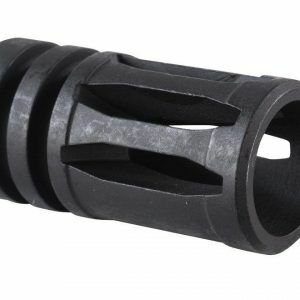 The Noveske KX3 Flash Suppressor nUS PATENT #’s: 7,836,809 & 8,047,115 nMade in Grants Pass,Oregon USA nHeat-Treated CM Construction nPhosphate Finish n7 ounces n1.35 inch Dia n3.28 inch OAL nnThe Noveske KX3 Flash Suppressor will work on any barrel length. All KX3s are individually serial numbered for quality control. 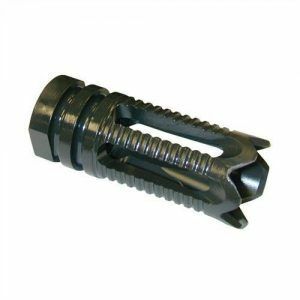 nnThis KX3 may be used on: nn5.56mm = 1/2×28 nn300BLK, 6.8, & 7.62 = 5/8x24nnGerman rifles = M15x1 nnM14x1LH (See Pictures) nnn–Please choose appropriate thread pitch from the drop down menu– nnPlease be aware that the M15x1 KX3 does not use a crush washer or wire ratchet. 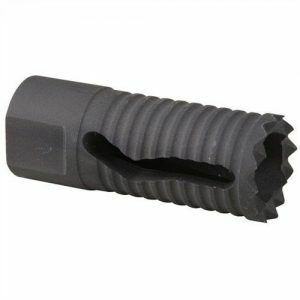 The markings on the M15x1 KX3 will NOT time with the rifle. 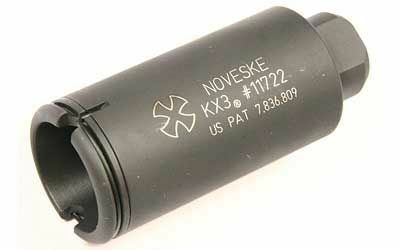 This is cosmetic only.nnThe Noveske KX3 is classified as a flash suppressor by the BATF FTB. nnBeware of illegal and unsafe counterfeits.